We are proud to announce that our Duathlon Series returns in 2017. The dates for your diary are January 29th, February 26th and March 26th 2017. Prices will remain the same as last year, being €25 per race or €60 for all three. 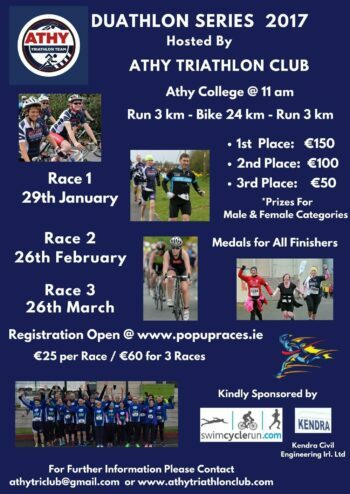 Registration for the Series is via www.popuraces.ie.